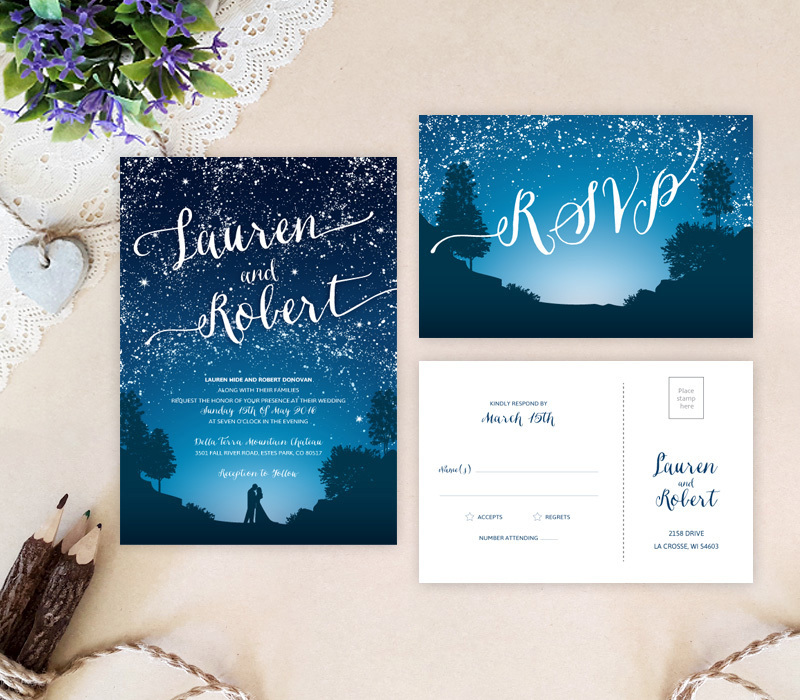 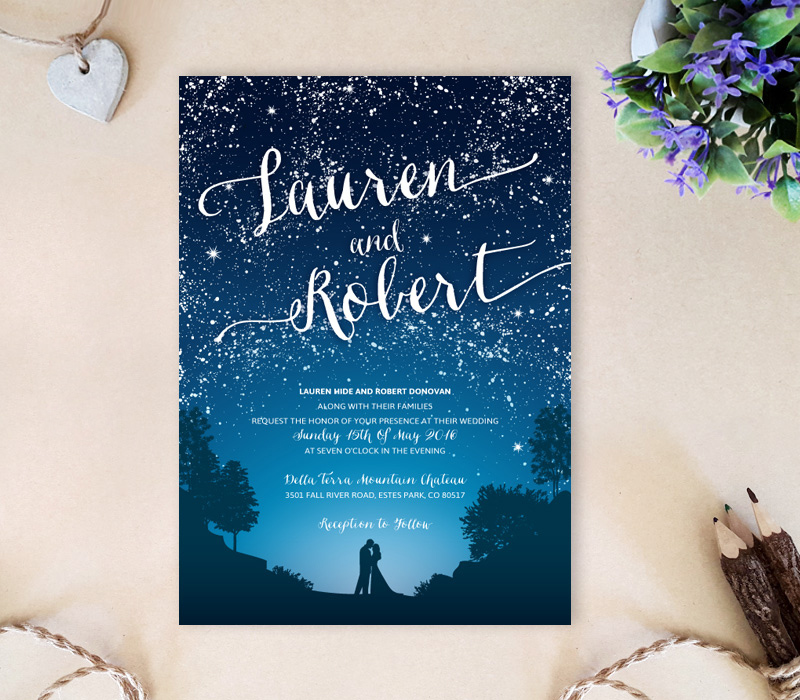 As they say true love is written in the stars, so announce you found your everlasting love with our Starry Night Wedding Invitation sets. 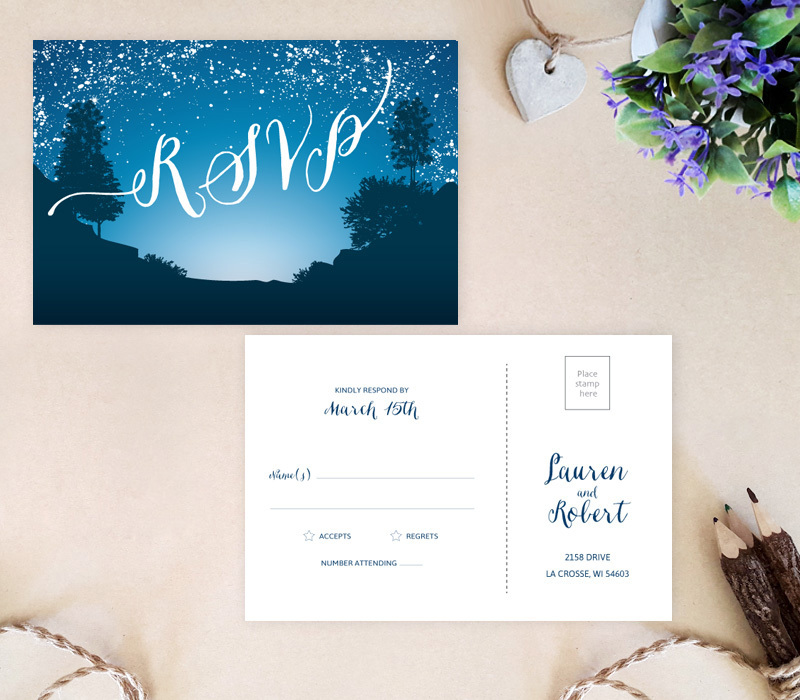 Make an unforgettable announcement with invites that showcase a lovely outdoor scene complete with shimmering stars and elegant calligraphy. This invitation set is printed on premium card stock and includes a wedding invite and R.S.V.P card.